A FREE ONLINE VIDEO EVENT SERIES with Bestselling Author, Scientist & Visionary Gregg Braden, Bruce Lipton and HeartMath Leaders Howard Martin and Deborah Rozman. Click the button below to Register for ALL the Summit Programs, or click a Program’s title, in the List of Upcoming Calls section below, to Register just for that Program. Click here to go to the Recent Calls section. Let’s Experience it, Embody it, and Live it in All Areas of Our Life. Listen to free inspiring talks from renowned spiritual leaders and experts within the five essential pillars of life. First time visitors please click here to see an introduction to this site by your host Steve Farrell, who is President and Worldwide Executive Director for Humanity’s Team, a global grassroots spiritual movement focused on awakening and embodying Oneness. What makes the culture in Community Circle so unique? Community Circle is an international community committed to living and embodying Oneness where people collaborate and connect with other leaders engaged in spiritual activism all over the world. In a nutshell, you are helping the world birth an environment that fosters a love-filled community. We provide tools for Living in Oneness with tips and techniques to shift your life. Our latest program addition is a weekly live video call where participants intimately share about their journey in Oneness. It is free for Community Circle members. or ALL the Summit Programs. Note: Daylight Saving Time in the US started March 10 and ends November 3. Check here for correct time zone conversions. There are no Upcoming calls currently scheduled. Power of Prayer call – Rev. Robert Brzezinski leads a prayer/meditation. Many members share their prayers and as many prayer requests as possible are read. Go here to receive his brief daily affirmation. Heather Elizabeth is a life-long Seeker of the greater purpose and meaning of existence. Since she was a young girl, Heather has been a champion for unity consciousness. She now recognizes it to be the next evolutionary step for humanity. In this program, Stephen Dynako will interview Heather about her work in the 13 Moon Dreamspell and its significance in navigating present day global circumstances. Plus, they will explore some of the archetypal themes and patterns that the Dreamspell can empower us all to be aware of. Join Anna Mari Pieterse, co-host of the Humanity’s Team 12 Spheres of Life Series, and Stephen Dynako of Humanity’s Team on as they discuss Jonathan’s success with healing through the art of sound. Further, they will talk about how you can join thousands across the planet for the 17th Annual WORLD SOUND HEALING DAY on Thursday, February 14, 2019. Commencing at 12 noon (local time in your time zone), sound forth for 5 minutes with the “AH,” created and projected with the energy of compassion and love, sending a sonic valentine to Gaia, our Mother Earth. Meet Kevin Adler. He is the founder and CEO of Miracle Messages. This organization puts homelesss people in touch with loved ones back where they grew up and helps rebuild their self-image. His company MiracleMessages.org seeks to connect the homeless with their families and friends. They are helping homeless people get off the street all over the world. During this program Kevin and Steve Farrell discuss stepping out of your comfort zone and really making a positive difference in the world. Kevin also talked about looking within for validation, love and inspiration, and creating a deeper relationship with God. In this program Stephen Dynako speaks to Joe about the practical application of respectful confrontation. Joe tells us about attaining the deep resilience we all need to stay present and grounded through the challenge of being in conflict with others. His is a message and a process ideally suited for the times in which we live. During this program, Steve Farrell and Neale discuss our collective Decision Point and the role Awaken the Species can have in progressing and accelerating our journey into conscious evolution. The book invites us to “self-select.” They discuss what this means and how we might do this. During this program Kevin and Steve discuss stepping out of your comfort zone and really making a positive difference in the world. Kevin also talked about looking within for validation, love and inspiration, and creating a deeper relationship with God. Michael George Reccia has worked as a spirit medium for over thirty years. Eleven years ago, as his mediumship began to evolve, Michael made a link with Joseph – a highly evolved spirit ‘guide’ – and began to bring through the Joseph Communications. David Sandoval has made it his life’s mission to change the world for the better. From nutrition and the environment to domestic violence and poverty, Dave has advocated on behalf of many causes. He’s invited people into his home to personally help them get healthy, lose weight or achieve their goals. Plus, through his mentorship program, he has inspired all kinds of people to get out into the world and make a difference. For over 30 years, Katie and Gay Hendricks have continuously looked for ways to increase the flow of love and good feeling in their relationship, and their mission is to teach what they have learned to the world. Having road-tested everything that they are sharing (in the bedroom, over breakfast, and in the boardroom), they sincerely believe that we are all capable of enhancing the flow of joyful, connected love in our relationship. Katie and Gay are committed to helping others expand their capacity to give and receive love. And they want to help create a world of deep intimacy, satisfying creativity, heartfelt appreciation, and wild play. Steve Farrell, Worldwide Executive Director of Humanity’s Team and Evolutionary storyteller and visionary Barbara Marx Hubbard will discuss the success and importance of Global Oneness Day, this year marking the 9th Global Oneness Day. In this program Stephen Dynako will interview Emmanuel about two upcoming documentaries. The first one is called ‘The Cure: Healing The Mind, Healing The Body, Healing the Planet’ to be distributed November 2018, followed by the politically-provocative film: ‘We The People: A Re-Evolution of Economics and Politics’ in December 2018. Steve Farrell, Worldwide Executive Director of Humanity’s Team and author Karen Noe will discuss the success and importance of Global Oneness Day on October 24th, 2018. Just as Earth Day galvanized the movement to protect and preserve our global environment, Global Oneness Day has become a global catalyst for spiritual education and activism, and the annual Summit event is on the leading edge of the creation of a new paradigm for living in the world. Power of Prayer call – Rev. Robert Brzezinski leads a prayer/meditation. Many members share their prayers and as many prayer requests as possible are read. This 12 Spheres program with Michele Hunt, will focus on Media and Oneness. Basically, in the sphere of the media, we speak of the means of the dissemination of information and entertainment among people. Both Anna-Mari Pieterse and Steve Farrell will discuss the media with Michele. Any means of communication is technically part of the media, and whatever this encompasses keeps growing, and along with it, the complexities of its power to influence. The difference between reflecting what is, and creating what is, has blurred along with the contents as well as the ethics regarding its use and structure. Power of Prayer call on Wednesday, July 25th, 2018 – Rev. Michele Sevacko leads a prayer/meditation. Many members share their prayers and as many prayer requests as possible are read. Send prayer requests to michele.sevacko@ humanitysteam.org. Steve, Dr. Bernie Siegel and Dr. Nauman Nameen discuss how to heal anxiety, depression and suicidal thoughts using natural processes, and the physical, spiritual and psychological benefits which follow. Karen Noe has been in touch with Wayne Dyer and “We Guides” in the afterlife. She was encouraged to write a book called “We Consciousness”. Wayne Dyer shares the most important thing he learned in the afterlife is that “We Are All One”. He shares we should focus on “We Are”, not “I Am”. In our current era of intense polarization, we are being bombarded with fear-based messages and news of conflict everywhere. In this episode of the Living in Oneness Summit, Humanities Team founder Steve Farrell will talk with Ross Hostetter, the founder of the Legal Evolution Group. This episode will explore the antidote to the current divided world—bringing forth the Good that is always with us. Steve and Ross will address how the good can be brought forth in our personal lives and within our sphere of influence, how the law can serve the good, and how we can choose the good as a direction of personal and social evolution. Power of Prayer call on Wednesday, May 30th, 2018 – Rev. Michele Sevacko leads a prayer/meditation. Many members share their prayers and as many prayer requests as possible are read. Send prayer requests to michele.sevacko@ humanitysteam.org. Barbara Marx Hubbard will share about new, innovative, technologically savvy forms of democracy that are emerging. We are embarking upon a new era in business, because the profit-at-all-cost model of business just isn’t working. Stephen Dynako, Program Director of Humanity’s Team’s Conscious Business Innerprise, speaks with Andrew Hewitt, founder of GameChangers. GameChangers is an organization that finds and ranks the top for-benefit businesses in the world, shares their world-class practices, and uses gaming dynamics to enroll organizations into the for-benefit model of business. Stephen and Andrew will take a deeper look into GameChangers’ mission to create a critical mass of for-benefit businesses in every major city in the world. Power of Prayer call on Wednesday, April 25, 2018 – Rev. Michele Sevacko leads a prayer/meditation. Many members share their prayers and as many prayer requests as possible are read. Send prayer requests to michele.sevacko@ humanitysteam.org. Zhiwa Woodbury is an ecopsychologist, eco-activist, and spiritual practitioner with a doctorate in natural law. He recently earned his M.A. in East/West Psychology from the California Institute of Integral Studies with emphasis in ecopsychology and spiritual counseling. He is currently writing a book on the psychology of the climate crisis entitled CLIMATE GRIEF: Changing the Way We Think & Feel About Our Climate in Crisis. 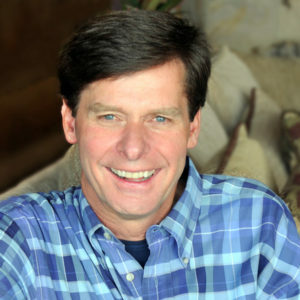 Dr. Neil Hawkes is the founder of Values-based Education, a movement for cultural transformation. He has pioneered a new vision of education which is practiced around the world. Neil hopes you will be inspired to see the transformational power of universal positive human values such as respect, compassion, responsibility, justice, happiness and honesty as the foundation for a sustainable world.Dr. Neil Hawkes is the founder of the International Values Education Trust (IVET), which promotes the Philosophy of Valuing, and its practical application, Values-based Education (VbE). Neil currently works as an international educational consultant promoting VbE throughout the world. Hanne Strong has established the largest intentional, interfaith, and ecumenical retreat center and sustainable teaching community in North America. Hanne has granted over 2000 acres of land to various spiritual, educational, and environmental groups through the Manitou Foundation’s land grant program. The Baca/Crestone community now houses many of the world’s spiritual traditions and is referred to as “A Place of the Heart” – which now accommodates approximately twenty thousand retreatants per year, seeking to develop inner peace and balance with oneself and nature. This program will share how bringing consciousness to business creates a powerful new transformative design. Don’t want to miss this complimentary LIVE 90-minute webinar with Gregg Braden and Steve Farrell of Conscious Business Innerprise, to hear about radical innovations in business markets and humanity’s global resolve to confront economic crises that are looming. Neale Donald Walsch, founder of Humanity’s Team and prolific author, will speak live about our upcoming Conscious Business course ANSWERING THE CALL: BUILDING A PROSPEROUS BUSINESS THROUGH CONSCIOUS PRACTICES, and why conscious business is so important right now. Steve Farrell & Anna-Mari Pieterse will host this webinar about this 12 Spheres of Life – ARTS: A Method for Deeper Group Engagement That Integrates MUSIC with Ubuntu, Contemplation and Reflection. Dr. Lance Secretan is a pioneering philosopher whose bestselling books, inspirational talks, and life-changing retreats have touched the hearts and minds of hundreds of thousands of people worldwide. He is the author of 19 books about leadership, inspiration, corporate culture and entrepreneurship and most recently an award-winning memoir, A Love Story. Conscious Business Innerprise with Kristin Vesa and Stephen Dynako. Conscious Business Innerprise is the Humanity’s Team subsidiary focused on Conscious Business. Conscious Business Innerprise is focused on moving the global economy, commerce and business from Enterprise with an “E” to Innerprise with an “I” for Inner guided. and Global Oneness Day 2014, 2015, 2016, 2017 & 2018.